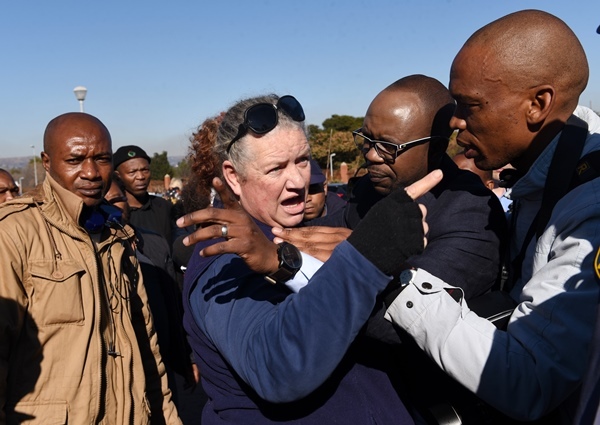 The sight of AfriForum chief executive Kallie Kriel enraged the BLF members, leading to scuffles and insults being bandied about. 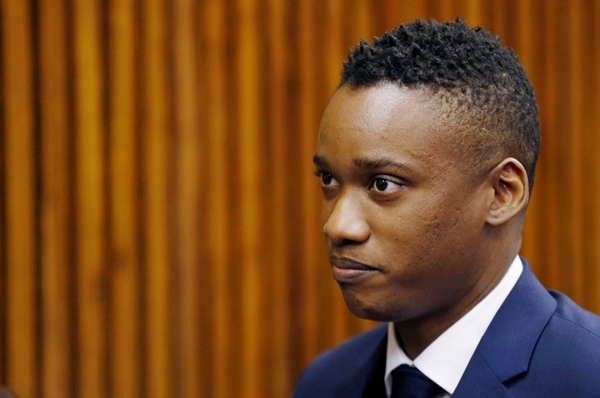 Duduzane Zuma’s shackles-free court appearance yesterday on culpable homicide charges had all the hallmarks of a typical Zuma trial – stoic silence from the accused, a lightning-quick appearance in court followed by pandemonium outside the courtroom. Zuma is alleged to have caused the deaths of Jeanette Mashaba and Phumzile Dube in 2014, when he crashed his luxury Porsche car into the rear of the taxi transporting the two women on the M1 highway in Johannesburg. Dube died instantly, while Mashaba died a few weeks later. Unlike his appearance in court on Monday on corruption charges, there was a high level of security yesterday, with any person wishing to enter the courtroom required to register. Zuma, represented by advocate Mike Hellens SC, was released with the promise he will appear again on August 23. Should the state, represented by senior prosecutor Yusuf Baba, hand over all required documentation on time, Hellens said they would return with a trial date. As Zuma was leaving, four cars from the presidential protection unit pulled up outside the court entrance, with former president Jacob Zuma inside, ostensibly to support his son. Police spokesperson Brigadier Vishnu Naidoo said Duduzane left in his own car, while his father was allowed to used the presidential protection unit when he travelled. 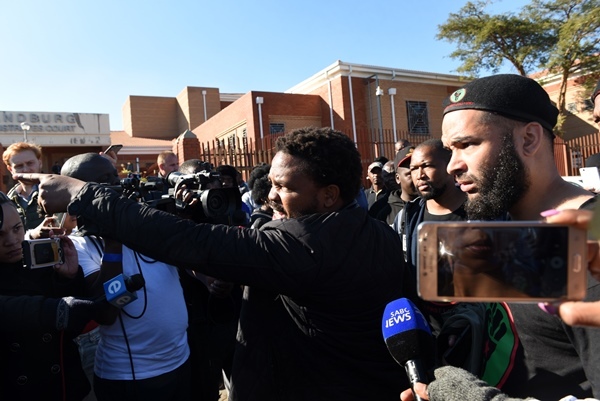 However, when members of Black First Land First (BLF) saw AfriForum chief executive Kallie Kriel approaching the court, trouble began. 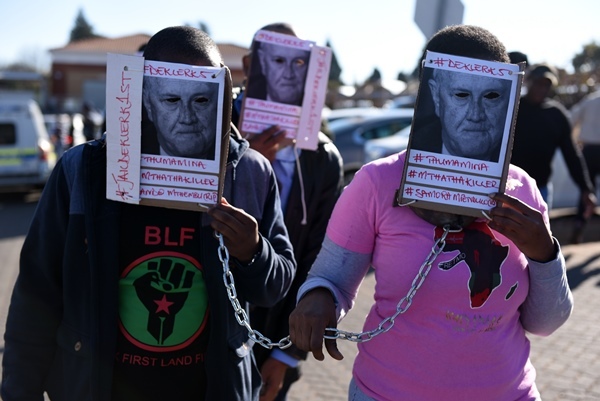 BLF managed to shout down several attempts to interview Kriel, saying he had no right to speak “on black issues”, he was racist and should “go back to Holland”. 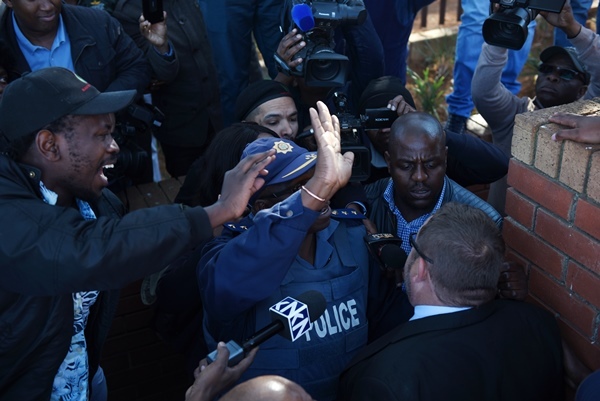 Police battled to keep control and, once the BLF, media, and Kriel had been separated, leaders of BLF vowed to defend themselves against “settlers”. “We must be clear, any white person who touches us we will send them to hell. Any white person who touches us, we will go to their homes, we will go to where they eat, we will go to where they work, we will find them, and we will deal with them,” BLF leader Andile Mngxitama ranted. Duduzane Zuma’s prosecution comes after inquest magistrate Lalitha Chetty recommended that he be prosecuted for his negligent actions. The National Prosecuting Authority (NPA) initially refused to prosecute him, but after AfriForum announced that it would take on Dube’s case, the NPA changed its mind. Kriel said he wouldn’t be intimidated by the BLF’s behaviour, which made him even more determined to see justice done. “But we’re not going to stoop to their level,” he said. Zuma was in the dock on Monday on fraud charges relating to a R600 million bribe allegedly offered to then deputy finance minister Mcebisi Jonas to do the bidding of controversial Gupta brothers Ajay and Atul. Zuma was released on R100 000 bail after he appeared in court shackled in leg irons.